We heard a lot of good reviews about The Burger Project because of its uncommon, if not unique, concept, and so we decided to find out if those were indeed true! 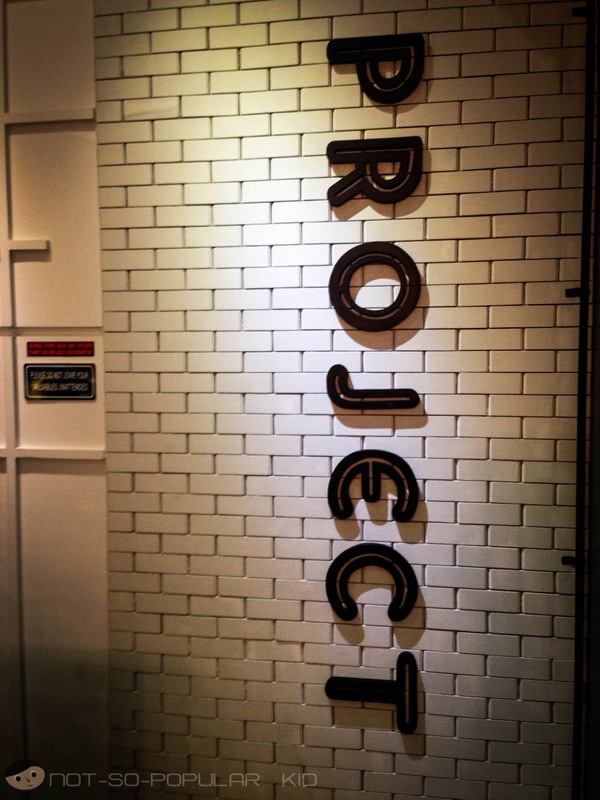 Surprisingly, we were able to try The Burger Project out just last week considering that it opened almost a year ago. Well, the saying "Better late than never" applies in this scenario. Anyway, in this blog post, we'll give answers to these questions: Is the long walk from DLSU worth the experience? How unique is their concept? Should you visit this place? 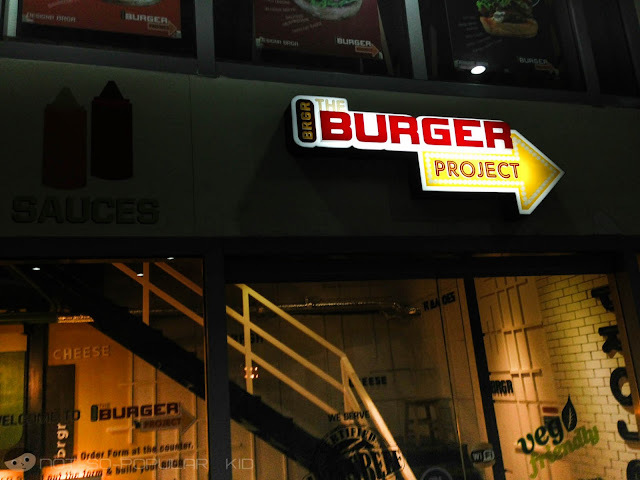 BRGR: The Burger Project ,or simply Burger Project, is located in The Grand Towers which means you will need to walk for about 5 to 10 minutes from DLSU or DLS-CSB and 8 to 15 minutes from St. Scholastica. That sounds little bit tough, right? We entered the place clueless, and it was apparent that the store just opened for the day. We approached the counter, and surprisingly they gave us a piece of paper on a clipboard filled with check boxes and prices (check out the photo on the right below). That moment, everything clicked in! The restaurant was named the Burger Project because you customize your own burger (as if you are making a project). To top it all, you get to name your project (i.e. the burger), and you may call it anything you want, but try to keep it decent, at the least! 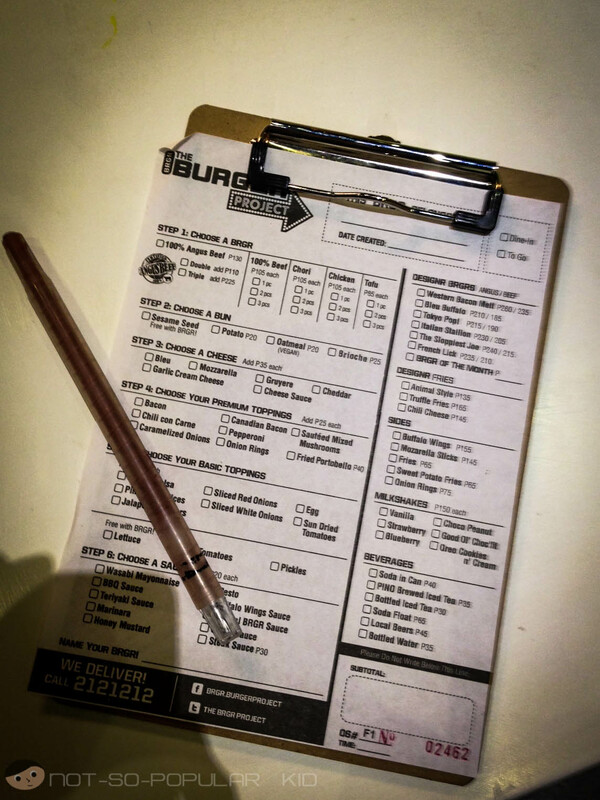 Order Up: Create your burger and treat it as a project! If you've gone through the procedures above, you may think that it will cost you a lot to make a burger! Well, yes that may be the case when you decide to upgrade and highly customize your burgers. However, if you'll keep it simple it will roughly cost you about P105 to P130 only. Sound like a good bargain already right? 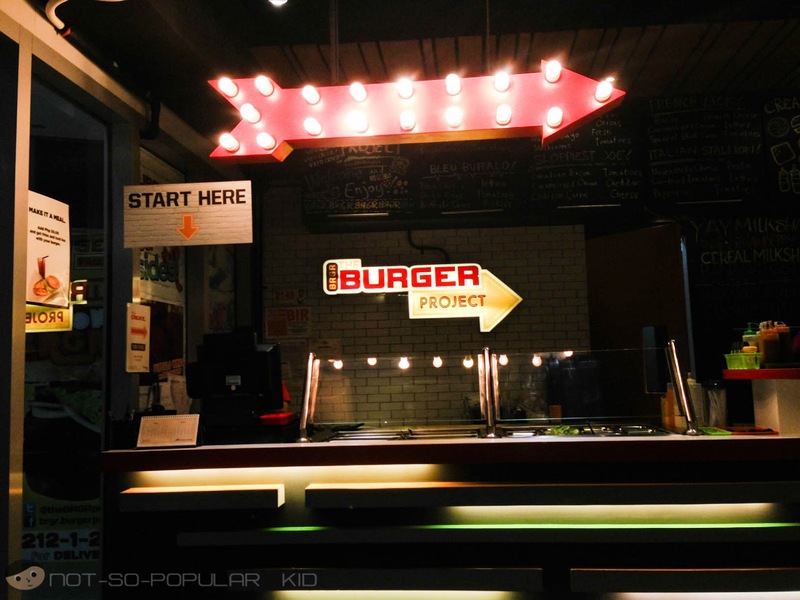 Create your own Burger in BRGR Project! Fries, fries and fries in Burger Project! Unfortunately, we weren't able to try the fries of the Burger Project, but goodness, these fries sound and look so good in the photo, and I hope the same goes for the real thing! 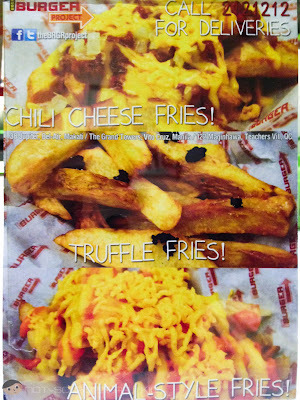 Actually, what really caught my attention was the Animal-Style Fries (P165)! Check out the photo on the right. It looks so good right! My friend mentioned that the Animal-Style Fries is famous in the In-N-Out Burger which really made me more curious. Hence, I promise to have this the next time I visit the place, even if the price seems a little bit outrageous. Has anyone of you tried it? If yes, maybe you can share how good (or bad) it is. 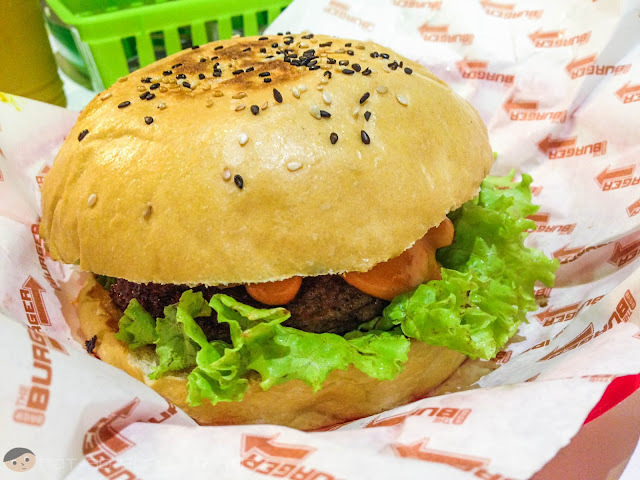 There are quite a number of fast food joints that offer burgers around Taft: McDonald's, Jollibee, KFC, Kenny's, Burger King (to name a few among the usual ones) and Nomi Burger, Zark's, Army Navy and Burger Project (to name a few among not-so-usual ones). 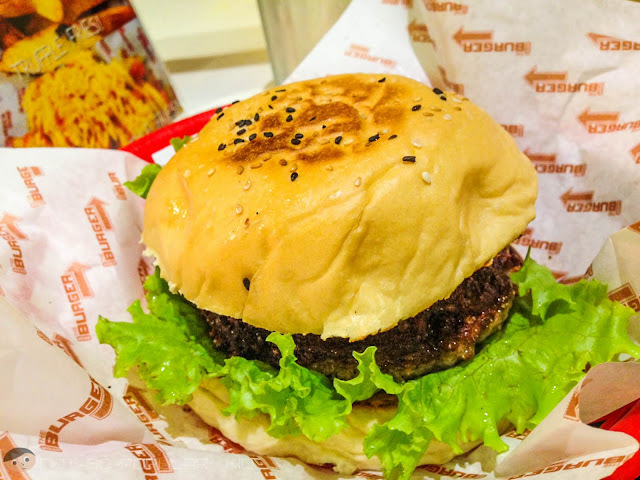 Now, which of these stores provides the best burger in Taft? 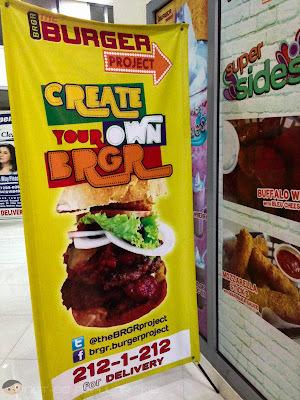 Let's see, but first let's indulge ourselves with the burgers of the Burger Project. This was what I had when we visited the place. It costed me P125 to create this burger consisting of the following: 100% Beef, Sesame Seed Bun, Lettuce Tomatoes, Pickles and the Special BRGR Sauce. Now, when this project was served on our table, I was surprised by the size because it was bigger than I expected! When I tasted it, a party started in my mouth! Flavors were jiving together creating a mmmmmm-sensation! I can't say it was just an ordinary burger because I felt something different. Right then and there, I found the best burger around DLSU (so far)! Above is the photo of the Angus Beef Burger valued at P130 (if without any add-ons). The main difference between this and the beef burger lies on the texture, which for me can be ignored because both still provide the same awesome taste! There you have it - the Burger Project which is possibly the Best Burger in Taft (which then makes all the walking effort worth it)! Do you agree with this? Share your thoughts by commenting below! Recommendation: Yes, you should check out this place because of the interesting concept and, of course, great burgers! How to Get to the Burger Project? 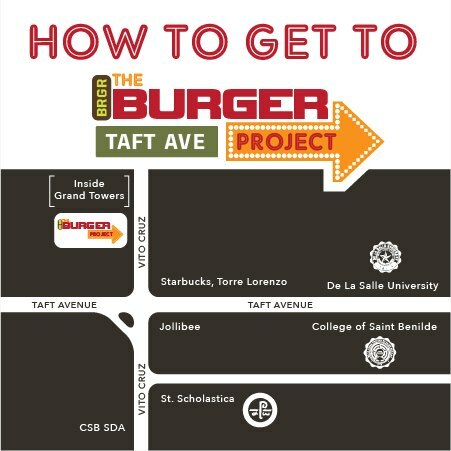 Check out the map below on how to locate the Burger Project! Note: Although not entirely convenient, the walk will be all worth it! I love their lamb burger with mint jelly.